We provide a safe and responsible solution to clear lots, pastures, over growth, land, right of ways, fence lines, shooting lanes, food plots, commercial lots, as well as residential properties. Skid Steer Mulching is the least damaging way to clean your property up without destroying it. Bulldozers and Metal Track Machines leave the ground demolished. Forestry mulching is designed to remove trees, stumps, and brush by grinding organic material into mulch. 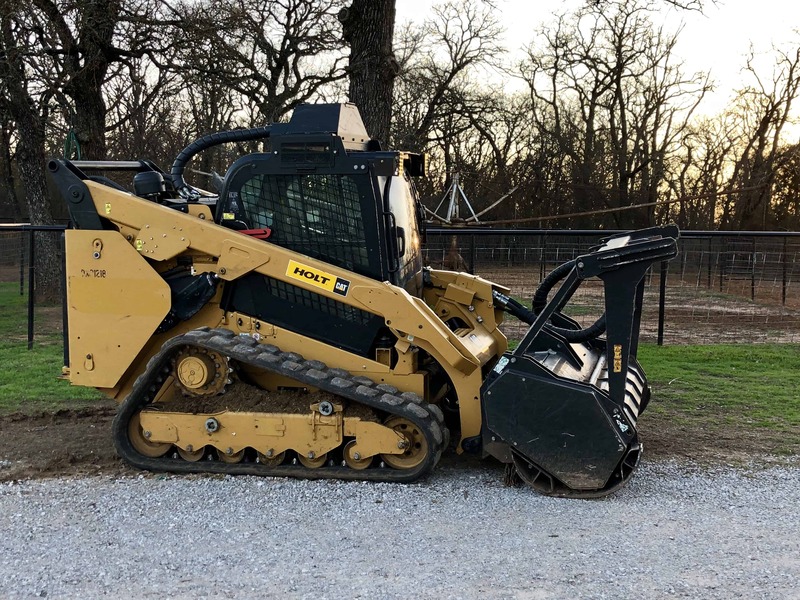 Unlike traditional methods of land clearing, such as bulldozing and burning, forestry mulching is able to preserve the land’s top soil and grass, thereby clearing trees with minimal damage to the environment. Forestry mulching has been praised for its eco-friendly methods that guard against ground erosion, preserving wanted tree and grass roots, and quickly enhance land without scarring the property. In addition, the mulch generated from a forestry mulching both supplies nutrients to the soil and enhances its moisture retention. 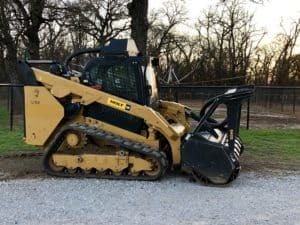 Forestry mulching’s ability to preserve land while still removing unwanted trees and brush makes it the most environmentally friendly land clearing method in the industry..
Bulldozing and burning (outdated) land clearing methods are used by large companies and property owners alike. These outdated land clearing techniques are time consuming, potentially hazardous and ecologically destructive. But a large swing of companies and land owners alike are educating themselves and changing to environmentally friendly land development via forestry mulching. Previous PostWhat is the Best Time of Year for Hydroseeding My Lawn in Texas?